Categories: Drama, Comedy, Local. From Forget Me Not Productions. Written by Thomas Tafero. Directed by Cailin Kless. 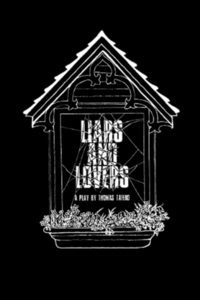 Liars and Lovers was playwright Thomas Tafero's first full length show. He premiered on Long Island to positive feedback and always hoped to share it with a wider audience in New York City. Unfortunately, a diagnosis with cancer and subsequent treatments put the project on hold. Three years after his passing, the Forget Me Not Productions team is honored to be making Thomas's dream a reality through FringeNYC.